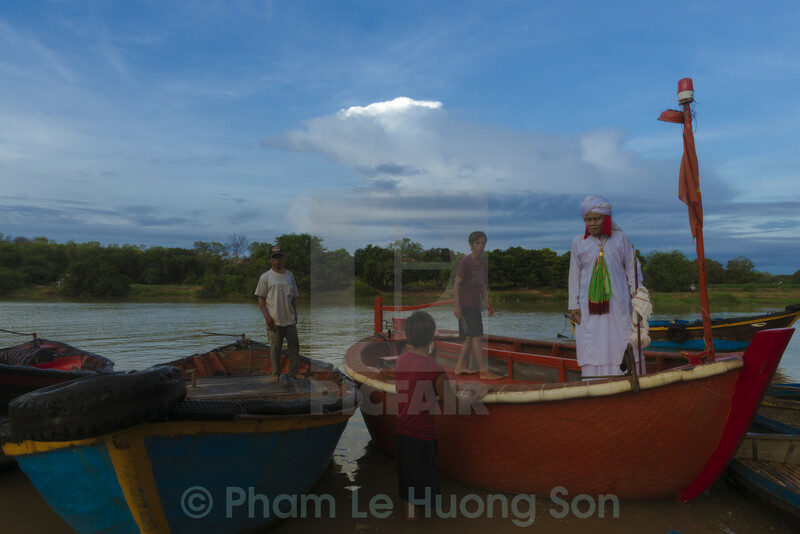 Cham Muslim priest prepares for crossing the river by bamboo boat to sanctuary land at sunrise for his duty in Ramuwan festival. Cham people are the ethnic minority group living scatteredly in the provinces from Central to Southern Vietnam. Most of them are Muslim and the rest are Hinduist of Buddhist. The picture are taken in the occasion of Ramuwan Festival (named of Ramadan Festival in Cham language) where people do sweeping - tomb for whole day with the condensed cultural ceremony.